Mao Zedong's labor reform camps were notoriously brutal; modeled after the Soviet gulag, their inmates were subject to backbreaking labor, malnutrition, and vindictive wardens. They were thought to be impossible to escape-but one man did. Xu Hongci, a young medical student, was a loyal member of the Communist Party until he fell victim to Mao Zedong's Anti-Rightist Campaign in 1957. After posting a criticism of the party, he spent the next fourteen years in the labor camps. Despite horrific conditions and terrible odds, Hongci was determined to escape, failing three times before he succeeded in 1972. Originally published in Hong Kong, Hongci's remarkable memoir recounts his life from childhood through his prison break. After discovering the book in a Hong Kong library, the journalist Erling Hoh tracked down the original manuscript and compiled this abridged translation of Hongci's memoir, which includes background on this turbulent period and an epilogue following Hongci up to his death in 2008. 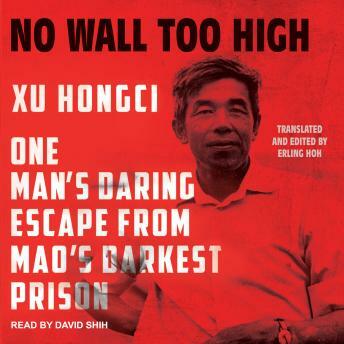 Almost nobody was able to escape from Mao's labor camps, but No Wall Too High tells the true story of someone who did.